Marlena draws upon her wide range of skills and many years of experience to meet the unique needs of each client. Over the course of a successful 35-year career in the healing profession, Marlena has created The Threefold Method, combining Craniosacral Biodynamics, the Feldenkrais Method of Awareness Through Movement and Mindful Eating. These approaches share a common principle: the human essence is self-healing when given attention and encouragement. Marlena has a passion for meeting people where they are and helping them move forward. She constantly explores new experiences, and her clients find her to be professional, skillful, nurturing, intuitive, playful and sensitive. Registered Craniosacral Therapist® (RCST) by the International Institute for Craniosacral Balancing (ICB), headquartered in Switzerland, and registered with the Biodynamic Craniosacral Therapy Association of North America. The rigorous ICB two year course of study includes anatomy, physiology and embryology. In addition to academic studies, practitioners graduate with extensive hands-on training. More than 40 years of bodywork training and experience, including CranioSacral, Chi Nei Tsang, orthopedic and Swedish massage, polarity therapy and many other modalities. Marlena co-founded the first massage therapy program in a U.S. hospital, at California Pacific Medical Center in San Francisco. Guild Certified Feldenkrais Practitioner and Certified Practitioner of the Anat Baniel Method. B.S. in Nutrition and Dietetics from San Francisco State University. She offers nutrition counseling for individuals and has taught gourmet cooking and healthy eating classes for organizations such as the American Cancer Society. Marlena presents highly acclaimed storytelling performances and keynote speeches, and facilitates storytelling workshops across the United States and Canada with her husband, David Roche, inspirational humorist and author of The Church of 80% Sincerity. 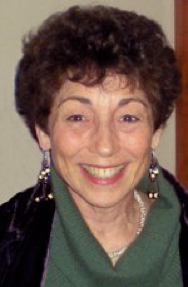 Marlena is a lifelong student and has had a consistent spiritual practice of reflection and meditation since 1970. She constantly explores new experiences, and people find her playful, fun-loving, nurturing and sensitive. Marlena lives in Roberts Creek, BC and Mill Valley, CA with her husband David Roche. Marlena makes me feel so good! Her healing gifts flow from many years experience, a wide range of training, and mostly from her extraordinary intuitive hands and heart.